Craft Unbound provides stories about craft practice on the ground, particularly in ways that introduce craft into new contexts. At the same time, it is very important to understand how this relates to the longer term history of craft intervention. To this end, it’s wonderful to welcome an opportunity to engage with the newly established academic publication, Journal of Modern Craft. I’ll be editing both websites and hope for some productive exchange as we drawn on the wisdom of the past to better understand what’s happening now. 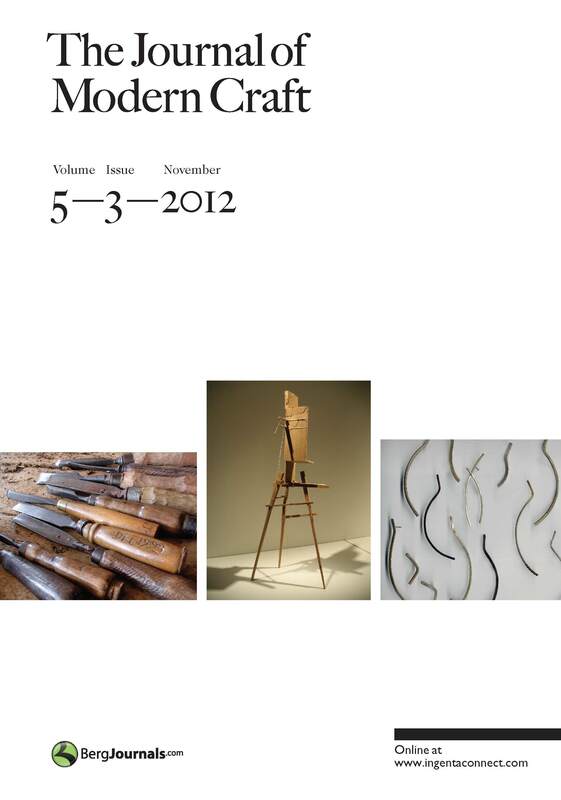 The Journal of Modern Craft is now into its second year. Its first four issues have already gathered a considerable amount of craft scholarship. The position of craft in modernity has been broadly examined in a wide range of cultures, including Alaska, Britain, Cambodia, China, Cuba, Finland, India, Indonesia, Ireland, Japan, Kenya, Slovakia, Sri Lanka and USA. The current theme is nostalgia. It asks the question: Is today’s traditional craft a form of manufactured nostalgia or grass-roots resistance? Guest bloggers Jivan Astfalk and Allison Smith are already contributing posts on this question. The featured article is a fascinating account of a national craft that is a site of both nation-building and resistance: “Traditional—with Contemporary Form”: Craft and Discourses of Modernity in Slovakia Today by Nicolette Makovicky. Upcoming themes will include craft activism, Africa and Japan. Subscribe to the full version as an individual, or convince your librarian to do so. Craft is integral to our cultural diversity. World-shrinking technologies promise a utopia of mass interconnectivity, but we still need to ground ourselves in the world at hand. Join Journal of Modern Craft in a critical journey through the various ways craft practice has sought a place for itself in modernity. If you have any inquiries about the website, please contact the online editor, Kevin Murray, at online@journalofmoderncraft.com.